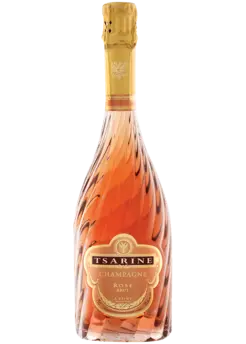 This unique shiny coppery rosé gold color stems from its blend of 51% Merlot 23% Chardonnay 9% Gewürztraminer 8% Cabernet Franc 5% Cabernet Sauvignon 4% Riesling. This isn’t called summer in a bottle for nothing. It’s the bright fruit, melon and lychee that make you feel like you are drinking summer. Made and bottled in New York! This peachy Rosé is from Languedoc-Roussillon, France. 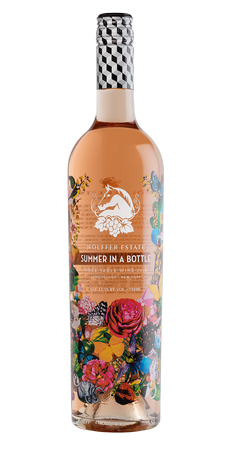 The bouquet releases aromas of summer fruits, cassis and redcurrant. Floral notes of rose along with hints of grapefruit complete the picture. The finish is fresh, offering notes of candy. On the palate the impression is fresh and full, with great aromatic persistence and balance. 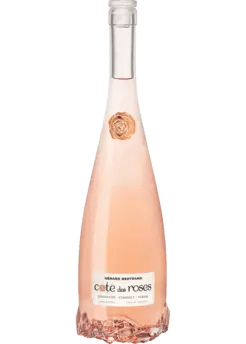 This rosé is pale pink in color that exudes floral orange blossom aromas. Made from 100% Grenache from the South of France, we use mature berries to balance the flavors of ripe berries that gives it a wonderful acidity and soft minerality. I received this one from my amor for Valentines Day and truly the bottle is so feminine and pretty. Sleek opaque glass with a glass cork epitomizes class and elegance. Made in Cali (whoop whoop). This rosé yields aromas of strawberry, nectarine and juicy red apples. On the palate, the wine opens with flavors of cherry, orange, citrus peel and the tropical star fruit that are underlined by a bright acidity that keeps the impression delightfully fresh with a lively, lingering finish. This simplistic design is perfect for anyone you know that has a name that starts with J. Made in Champagne, France with a champagne in France price point. A stunning wine, with aromas of strawberries and toast layered over a creamy palate filled with apple tart and fresh berries. Elegant, supple and rich, with a balanced finish and fine mousse. One of the top Champagnes to be found today. This wine is for a very special occasion or if you have money to throw around. Not your average summer pool party rosé. Cavicchioli 1928 Rosé Spumante Dolce is made from 100% Lambrusco grapes. In the vineyard, the vines are raised with a Guyot training system, with spurred cordon pruning, on loose mixed soils. When poured and tasted, white and evanescent foam; fine and lingering perlage; bright and pale pink “candy” color; fresh and fruity aroma; sweet, slightly spicy and aromatic taste with red fruit notes with a lingering aftertaste. Aromas of red fruits with hints of brioche; this Champagne brings layers of fruit and creaminess on palate with bright freshness leading to an elegant finish. This twisted glass bottle makes for a elegant gift to a friend worth giving a $50 bottle of rosé. Not your average summer picnic wine. As I embarked on my “new year, new me” mentality for 2018, I decided to stupidly not drink alcohol the whole month of January. It is currently 10 days in and yes I did cheat this week on a Moscow mule and a glass of wine at my friends going away however, compared to my wine consumption per week that is pretty solid. I do believe the new year brings a lot of chance for change however I regret starting my month long abstinence from the beloved juice I drink almost everyday. 2. A glass of red wine is only 100-300 calories! Just think how satisfying a class of red wine is compared TO ONLY 2 BITES OF YOUR EGG MCMUFFIN. I’d take wine any day! 4) Makes you social and brings people together. Nothing beats meeting up with friends for a drink to catch up on each others lives. Otherwise you would be at home knitting, with your cat on your lap and on Instagram wishing you were out drinking with friends (me right now….). 5) Makes you “more”. Wine is seriously like mystery flavored candy. Each time I feel a little different. It transforms me or maybe just enhances me. 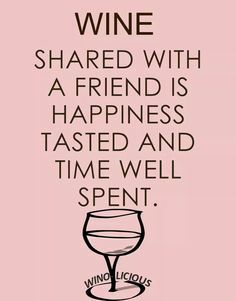 Wine makes me….silly, creative, confident, smile, laugh, sleepy, relax and the list goes on. Moral of the post, don’t feel bad drinking wine! There are plenty of good reasons to in “moderation”. So tonight I am going to have myself a nice bold Cab Sauv and hit the sack early!